With summer just around the corner, concerts would always be a great choice to host. Planning a benefit concert is fun and rewarding experience. However, planning a concert is a not as easy as it may seem. There are various things you need to consider to organize a successful benefit concert. Unlike a lot of people believe that concert is just a breeze and it doesn’t take much effort, organizing a benefit or fundraising concerts may take a lot of planning and perspiration. Before you decide to organize a fundraising concert, it is important that you understand the process that you have to go through. Here are few important factors you need to take in consideration to organize a really successful concert. 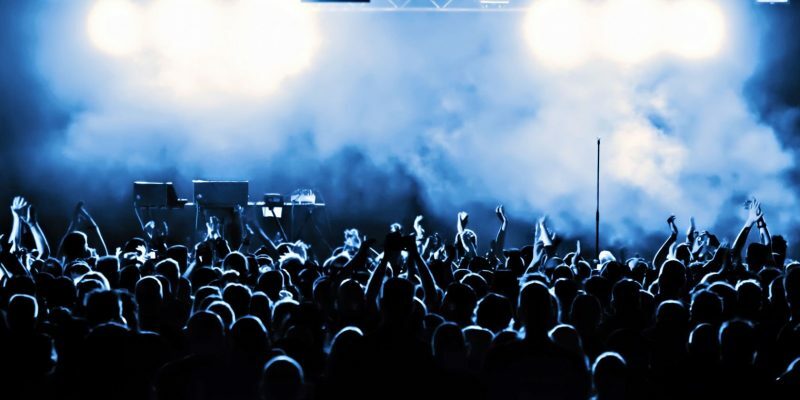 A concert just like business, location plays a crucial role in the success of your concert. You have to be sure that the location you choose are suitable for the artists or the bands and people can easily get to the place. You can list down the best places where you can hold a concert. This may be cities with must-see attractions where tourist can have a chance to put the event on their itinerary or in other famous and awesome cities. In choosing your location, you have to go beyond “what is available” and choose the best. Quick Tip: Research on places and find out if similar concerts were organized. Venue is the specific place in your location. Ideally, when you choose to hold an outdoor concert, it is better if you choose fabric structures because it is low cost and it has flexible aesthetic designs. Fabric structures also offer exceptional sound acoustics and good lighting that are perfect add-ons to your event. Furthermore, the venue you choose must be the one where you can secure the entrance and cover or sell tickets for the event. Quick Tip: Make sure to get a permit for outdoor space. For sure you don’t want your concerts to be something with horrible sounds. Sound and other equipment is tremendously important for a successful event. So days or weeks before the concert make sure to check all equipment if they are working properly. Make sure the audio quality is as high as it should be. Test the volumes and ensure that it is just enough for the audience and guest to enjoy. Quick Tip: Organize a special sound check few hours before the concert. A concert will never be a concert without a band, musician or singer. But it does not necessarily mean you need to have big names in your line up. You can ask local bands or performers to perform for free. Knowing that it is a fundraising concert, many people will attend the concert for its cause. You can also ask a friend who is in the band or you can contact managers and arrange a meeting with them. As much as possible, you need to keep your expenses low to gain more so emphasize that yours is a benefit concert. Quick Tip: Get a local celebrity to appear on the show and address the crowd. Advertising is important to get as many audiences as possible. There are plenty of ways where you can get free advertising. You can send out press release in local newspaper and take advantage of their free publicity. You can also go to radio stations and ask deejays to promote your fundraising concert. And with the use of social media, you can reach to more people and invite them to the concert. Quick Tip: Join community and groups in social media and promote your event to its members. Organizing a benefit concert is not an easy thing to do. You need to devout your time and effort to make the event successful. However, if you are aware of the things you need to put extra attention to, you would be able to get through all the planning and organizing and successfully make a concert that everyone will surely enjoy.